Music&Co. 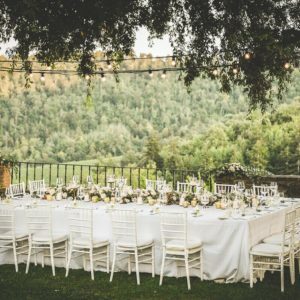 is a company which specializes in providing music services and lighting solutions for business and corporate events, weddings and receptions in Tuscany and all around Italy. Professionalism and the high level of expertise of our artists. 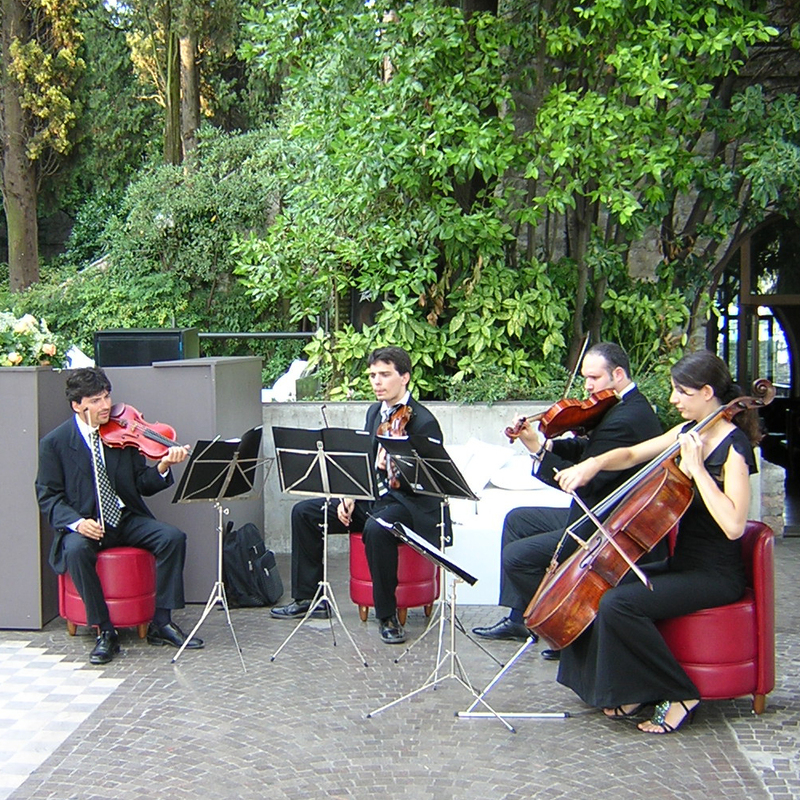 We are able to offer a music service of excellent quality, refinement and elegance. 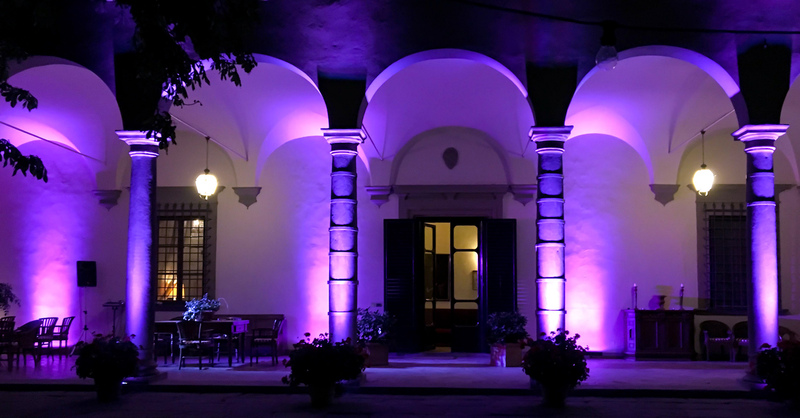 Lighting effects and visual installations undoubtedly contribute to create a memorable atmosphere for any type of event and celebration. We look forward to hearing from you. 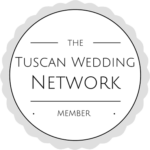 We are here to answer to questions you may have about our experience and our proposals for events, party and wedding music and lights. 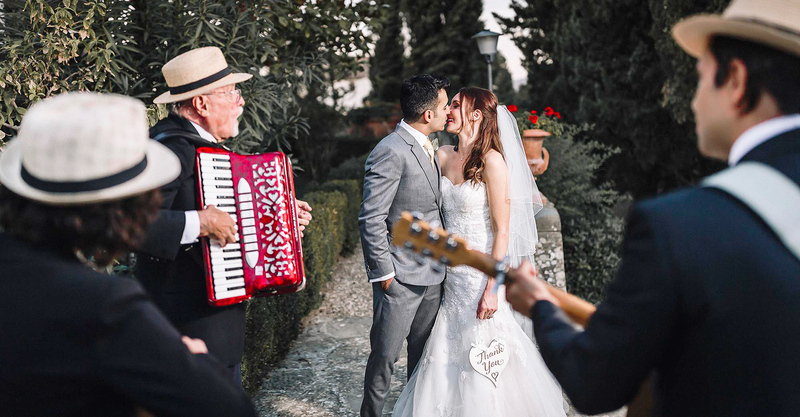 "News about Music and Lights"
An intimate wedding in Dievole, one of the most luxurious wedding location in Tuscany. 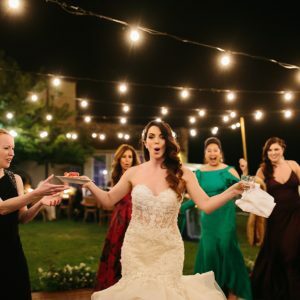 We provided a simple three strings of bulbs set up to enlighten the dinner area, and the DeeJay for dinner music background and party afterwards. We booked Music&Co. 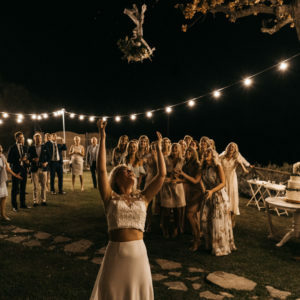 to play at our wedding. Chiara made an effort to be as accommodating as possible to all our requests and answer our many questions. On the day of the event they were very professional, arrived on time, dressed for the occasion, and ensured a great sound balance. Our wedding music was really important to us so I'm happy to say that Music&Co. was excellent. The performance was amazing, our guests continue raving about the great music. The music set included a three pieces jazz for cocktail hour and continued with an upbeat set with dj and sax. We are so happy to have had them at our event, they were just fantastic and process from beginning to end was wonderful. 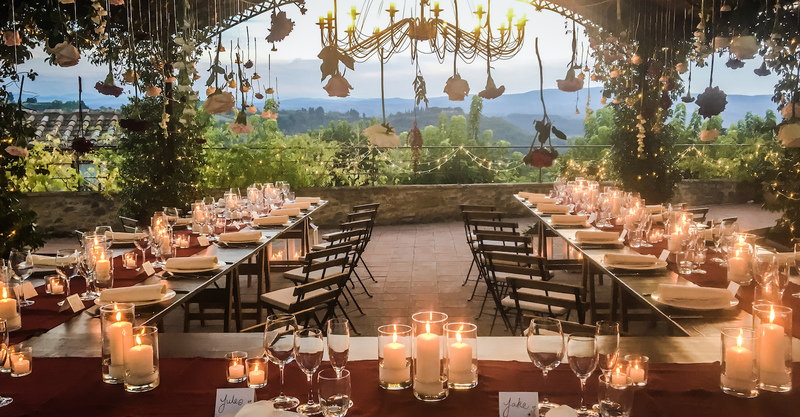 We recently celebrated our mothers 70th birthday with a week-long surprise holiday in Tuscany. The week contained many highlights my mother was delighted with, but it must be said that the singing from the two opera singers from Music and Co were very, very special. 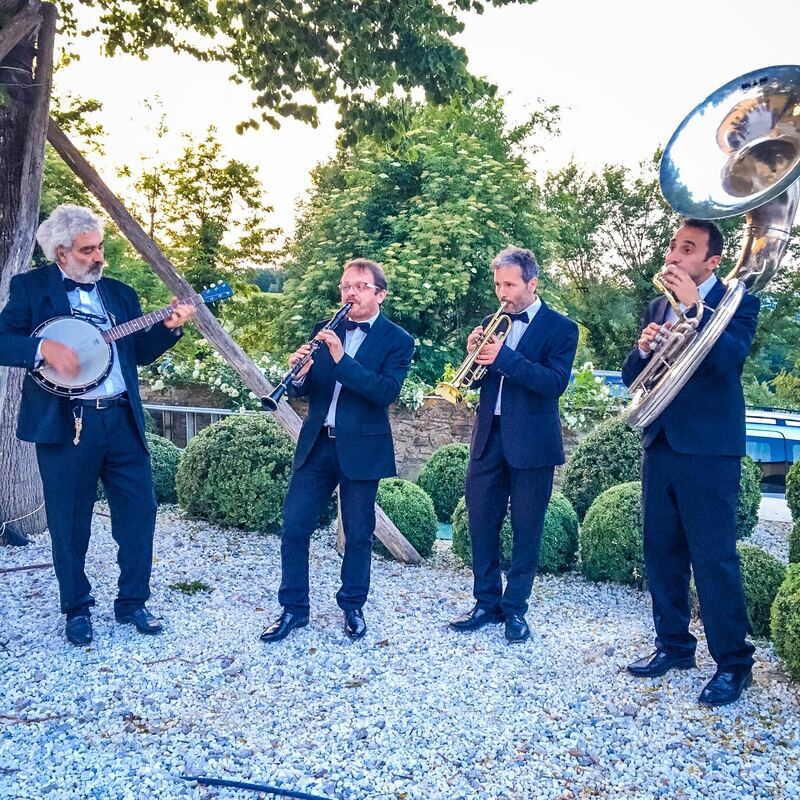 Being serenaded at our dinner table by two singers of such high quality they wouldn’t be out of place in a Viennese Opera House, singing many popular operatic classics was truly amazing and unforgettable for all 16 of the lucky diners present. 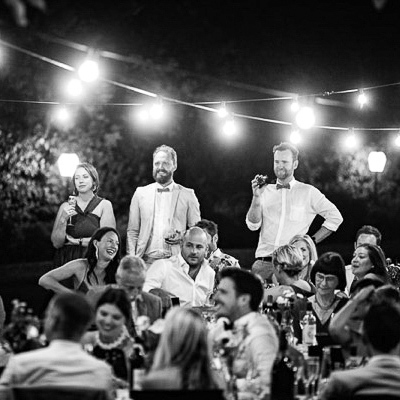 Our mother was more than delighted, and it was the icing on the cake of a fantastic night and week in Tuscany. Dear Chiara, Many thanks for your email, we were absolutely thrilled with everything! I couldn't fault a thing! 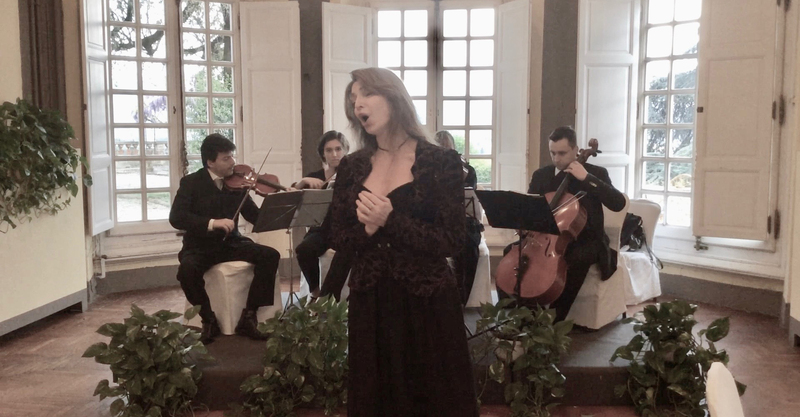 The ceremony made the day, the music was just so special and our soprano was the highlight. All of our guests complimented her and how wonderful she was. 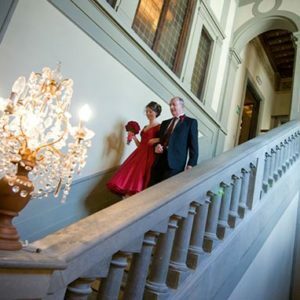 Thank you for everything, it was first class and I would recommend you to anyone getting married in Florence! Thank you again.